Another Kiss of Life from Spider-Man, originally uploaded by NiteMayr. 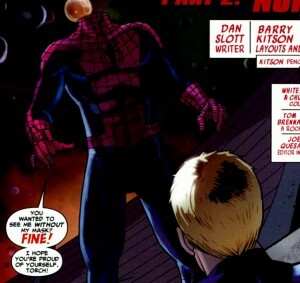 While Spidey is giving Jameson the Kiss of Life, the Spider-Man comics still continue their mad dash for crap-tacular! 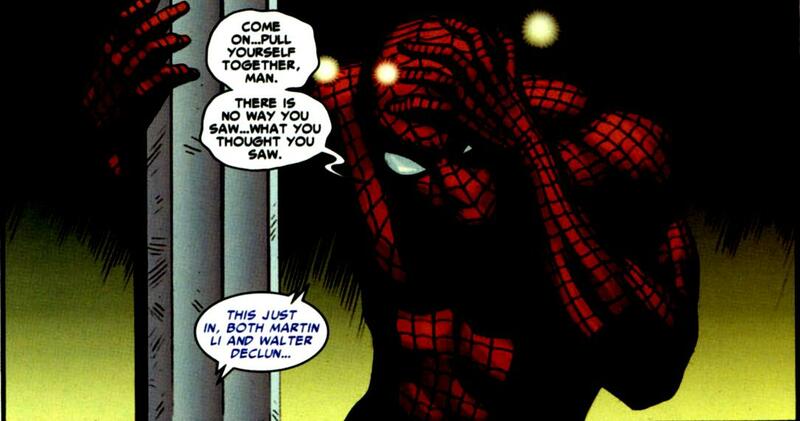 I’m just not digging on the curent plot lines, it IS a nice change from Spidey seeing his wife banging Lobster man on the side, but only in as much as it isn’t as horrifying. I’m not enjoying seeing 20-something Peter Parker waffle from place to place with no real anchor or center to work around. It’s just not as much fun without a home life for him, you know? 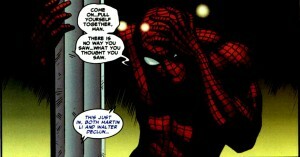 The Unlimited Spider-Man should be the proving ground for Single Spider, not the mainline stories. It seems, however, that the Ultimate universe is mired in “here’s what’s happened already, compressed into a few years” so that newer readers come into line with long term readers. Add to all of this the “Villain of the Week” line of rogues that have been popping up and Spider-Man has undergone a pointless reboot with no end in sight. Hurry up and undo this stupid reboot and get things back on track Marvel, please?